After the cancellation of the adidas Runners City Night race, many runners were surprised by this measure, especially since the weather had improved soon after the cancellation. "Why did you not start with a time delay?" was the argument. The permit to close off the streets for the athletes is coupled with a relatively tight time limit, which works well if everything goes normally. It is not possible to allow for larger shifts of start times. The permit to close off roads in the vicinity of this event is very restrictive, and among other things, bus lines are also involved or affected. As an organizer we cannot know at the moment of the decision how the weather will exactly behave. On Saturday evening, we worked very closely with the German Weather Service and the Berlin police. And if the police make the urgent recommendation to cancel, which is basically an order, after the German Weather Service issued an official warning for Berlin from 7 to 10 pm, we decided to take this measure. The race of the skaters could still take place, but had to be shortened for some participants to get them safely from storm and heavy rain to the finish. Almost at the same time, the organizers of the Christopher Street Day parade made the same decision. All costs accrued for this event are of course with us as the organizer, including costs for service providers and staff. All participants who were unable to start on Saturday or could not finish the regular distance at the skating race may sign up for the race in the coming year at reduced rates. An email was sent to all participants on last Monday. We are sorry that we had to act this way and hope to see you again next year or at any of our other races. 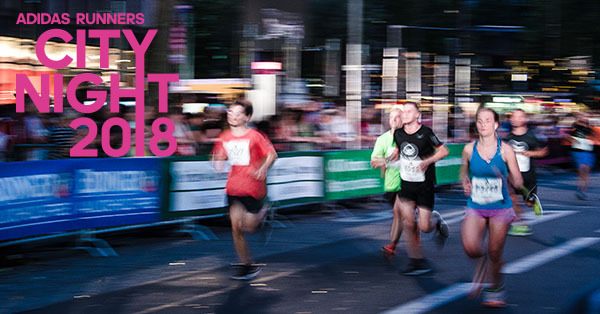 Registration for the 2019 adidas Runners City Night has started. The race will take place on August 3, 2019. Register now and save 5 % (see below / No. 4). Crowning glory of Berlin 2018: At the last two of the six days of Germany’s biggest sports event in 2018, 17 gold, silver and bronze medals will be awarded. The competitions range from men’s High Jump on Saturday to the 4x100m Relay on Sunday. In the presumably sold out Berlin Olympic Stadium, one highlight will be followed by the next. On Saturday and Sunday, the streets of Berlin will be hosting the marathon and race walking events supported by the SCC. According to the motto “Save the best for last“ Berlin 2018 now offers the discounted Weekend Ticket. 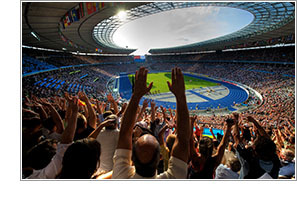 For 99 Euros (reduced 85 Euros) instead of 130 Euros per person, sports enthusiasts can enjoy the two final days from great seats in block 1-3 in the upper tier almost at the height of the finish line. The discounted ticket valid for two event days is available at www.berlin2018.info/tickets. If you were looking for the great challenge of the marathon but were not able to get a spot in the 2018 BMW BERLIN-MARATHON as a runner, you can still get fit and compete on your skates and in doing so secure a spot for the 2019 BMW BERLIN-MARATHON! More information is available on our website.